A listing of all web design and programming projects. 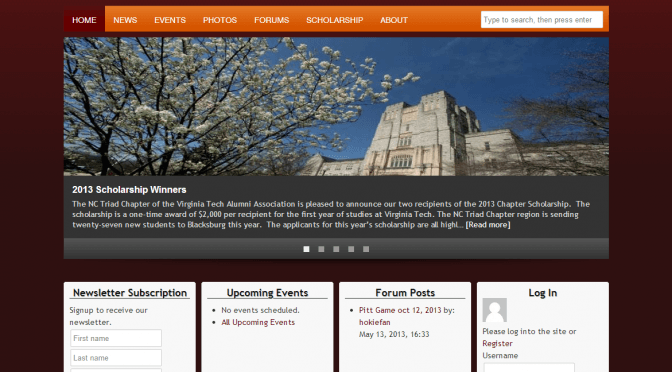 The NC Triad Hokies site represents my longest tenured project. I picked up control of the site in 2005-2006 and eventually migrated the site onto a Content Management System from it’s previous static design. The idea behind that was to allow multiple officers the ability to update the website with relevant content without my interaction. With the movement into a CMS, we were also able to adopt forums, allowing us to (hopefully) increase local user interaction and a possible marketplace. In the upgrade to a CMS, we also brought newsletter management in-house, allowing users to manage their subscriptions, as well as providing sending access to all approved officers. The latest iteration of the site is built around WordPress. 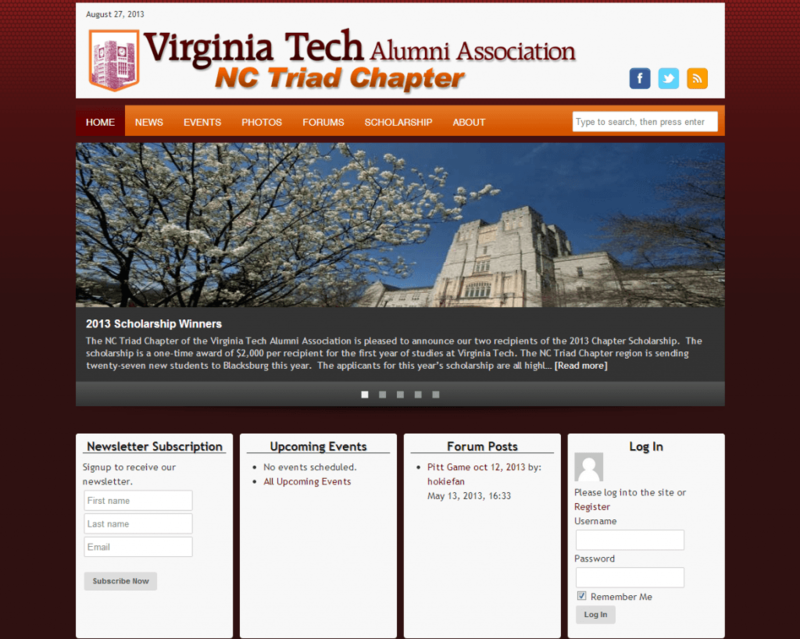 As of August 2013, the site features a fixed-width layout. I anticipate re-writing the theme before the end of 2013 into a mobile-friendly (responsive) layout, allowing me the opportunity to drop several plugins from the installation.